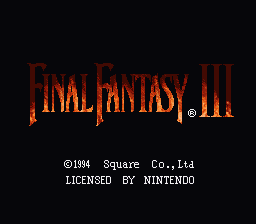 Romhacking.net - Hacks - Final Fantasy III: Story Edition. 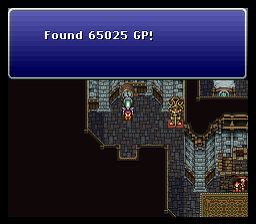 Final Fantasy III: Story Edition. This is a very simplistic patch made in mind for a niche group of people: people who enjoy stories and strong narratives in video games, but dislike the RPG genre/grinding. All enemies have had their stats (excluding MP so any magic-related battle scripts still function) lowered to 1. The first clock in Arvis’ house (formerly elixir) changed into 65025 GP to cut down on some future grinding for money needed for equipment. Relic shop in South Figaro sells “Moogle Charm” (for 2 gold) and all characters can equip them. 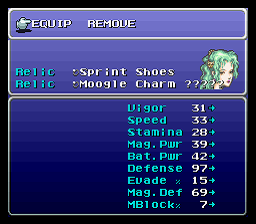 TERRA starts with Sprint Shoes (also changed to 2 gold) and Moogle Charm equipped. Patch will otherwise be worthless for veterans or someone looking for a challenge.